Hello Friends, welcome to our about us section. 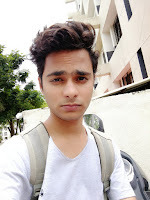 Hey guys, welcome to my website KinglyQuotes.com I’m Jitendra Patil from Surat, India. I Started KinglyQuotes in early 2018 to share Great People knowledge and Motivated you.